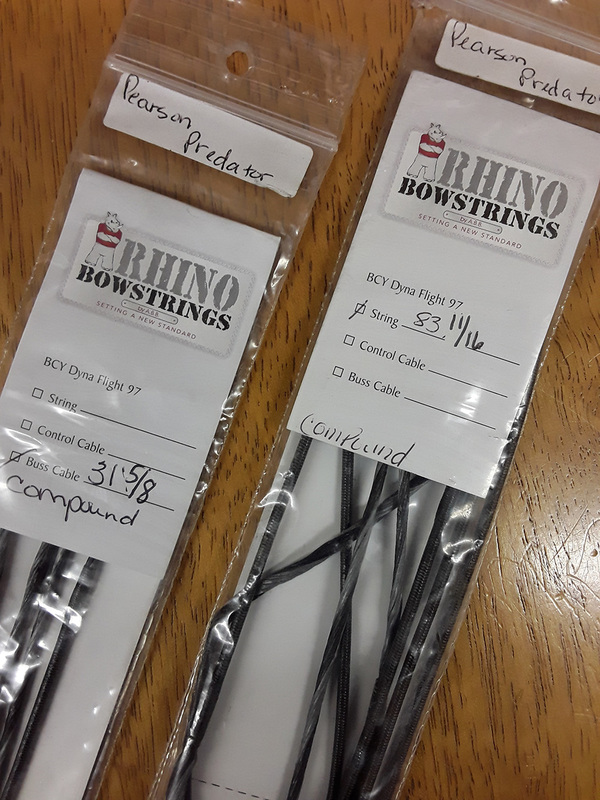 PEARSON PREDATOR COMPOUND BOW REPLACEMENT STRING & CABLE SET (NEW): standard replacement Rhino sets by America's Best Bowstrings. 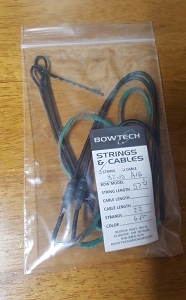 Please see photo of tags to double check against the string lengths specified on your bow's limb sticker. 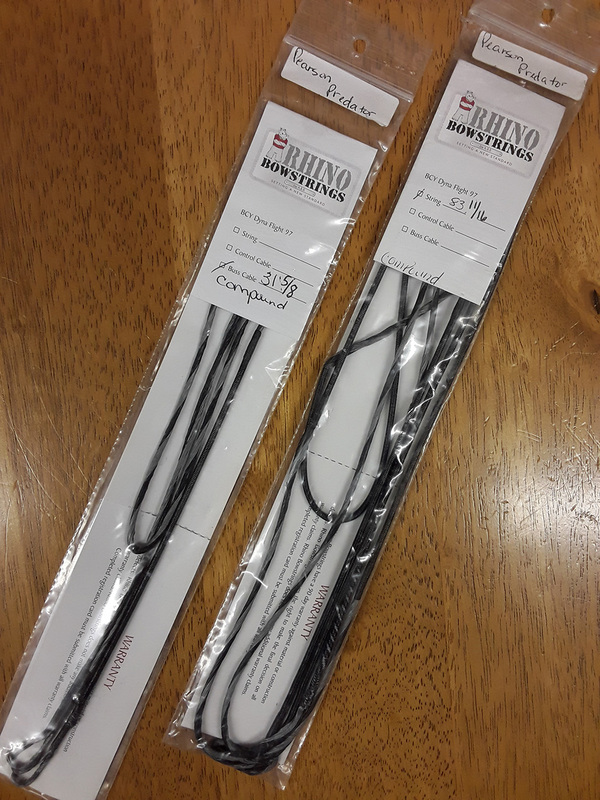 Replacement strings are pre-stretched and served to factory specifications to fit your bow perfectly. 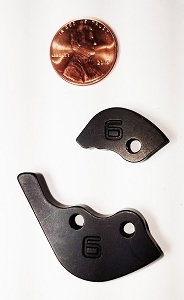 Note: peep sights, nocking points, loops, silencers, speed nocks, and other string inclusions/accessories must be added separately. 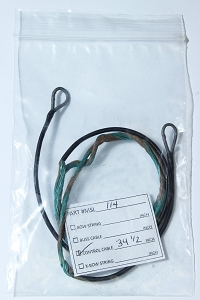 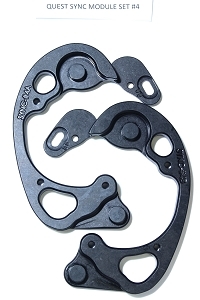 Quest Bowhunting, Compound Bow Draw Length Module Set, SYNC #4, HARD TO FIND ITEM! 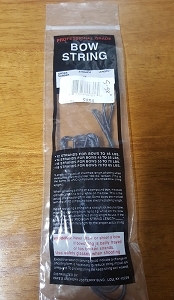 Obsession Archery, TURMOIL Module Set, Size #6 (Top +Bottom), RARE ITEM!